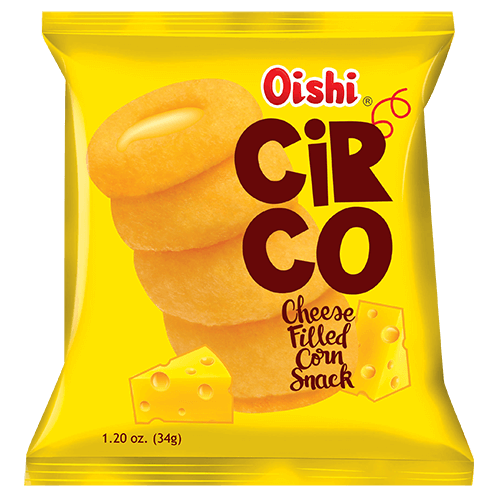 Circo (Cheese Filled Corn Snack) Size LS/ 34g Ingredients: Snack Base: Corn, Rice, Oats, Sugar, and Iodized Salt (Salt with Potassium Iodide). Filling: Vegetable Oil (may consist of Palm Oil and/or Palm Olein), Milk Powder, Whey Powder, Cheese Powder [Cheese Solids, Disodium Phosphate (Stabilizer), Salt, Trisodium Citrate (Acidity Regulator), Anti-caking Agents (Silicon Dioxide, Tricalcium Phosphate)], Natural Flavor, and TBHQ Antioxidant (added to oil to retard rancidity). 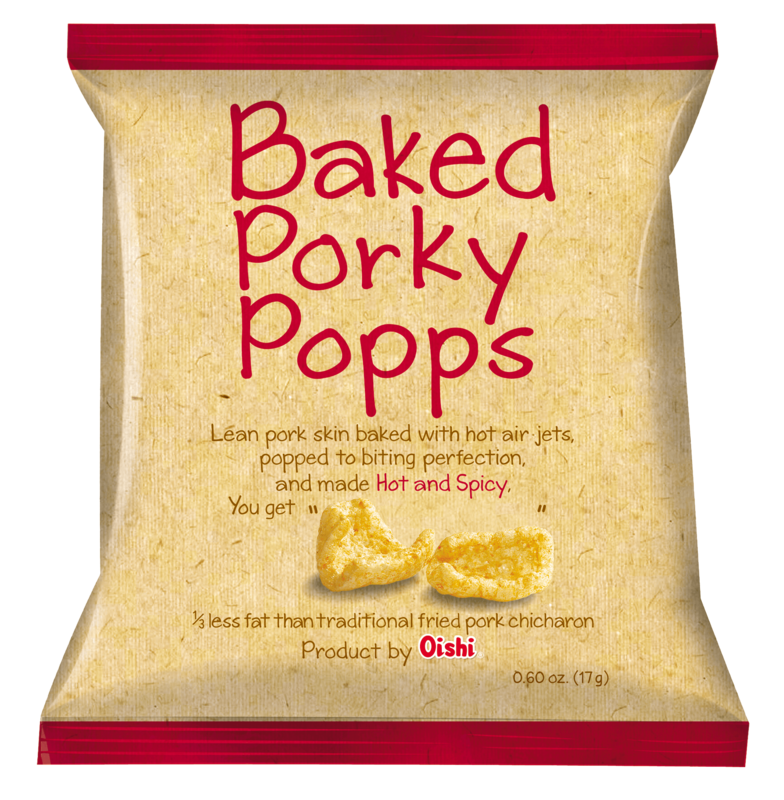 Flavor: Vegatable Oil (may consist of Coconut Oil and / or Palm Olein), Maltodextrin, Iodized Salt (Salt with Potassium Iodide), Cheese Powder [Cheese, Milk Protein, Yeast Extract, Flavoring], Flavor Enhancers (Disodium Inosinate, Disodium Guanylate), Paprika, and TBHQ Antioxidant (added to oil to retard rancidity). 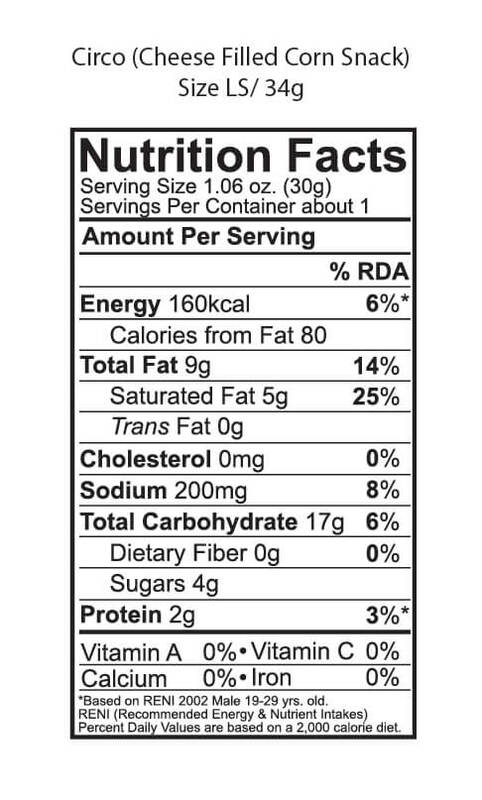 Allergen Information: Contains Oats and Milk Made on Equipment and/or Facility that also processes Crustacean, Eggs, Fish, Molluscs, Peanuts, Soy, Tree Nuts, and Wheat.